As a Custom Home Builder Coastal Maine General Contracting Inc. makes the process of bringing together the vision of the owner and organizing hundreds of ideas, sorting through and assembling thousands of components, working with dozens of craftsmen, and carefully refining the smallest of details our top priority. Today’s sophisticated facilities and accelerated business environments place greater demands on delivering projects quickly and accurately. We offer a system of interrelated strategic services, from early conceptual planning to actual management of the construction process. We can help overcome the challenges of today, while anticipating the needs of tomorrow. 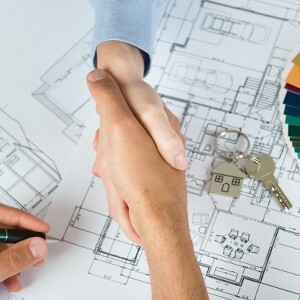 Dynamics between owners, contractors, suppliers, material selections, and schedules may require a unique approach to the contracting methods you choose. We offer a variety of management services tailored to meet the specific needs of your project. Coastal Maine General Contracting strives to exceed the expectations of our customers throughout the construction process. Our services include custom home building, commercial building, industrial building, design building, and construction management capabilities. We work with architects, engineers, and building officials to construct buildings that maximize efficiency by both utilizing the proper materials and by carefully considering the actual costs associated with the design. Our construction team will then take the plans and make them a reality. Over the years we have completed projects for a wide variety of customers including, home owners, hospitals, schools, industrial facilities, local government, US Navy, US Postal Service, National Park Service and more. We have successfully completed many major projects by remembering our motto on every project: Built Once – Built Right – Built for Life. Coastal Maine General Contracting strives to deliver innovative solutions for complex and intricate construction problems, always looking for ways to exceed industry standards for quality, service, and safety. We will seek to develop lasting relationships with our customers and build those relationships on communication, trust, integrity, and hard work. Coastal Maine General Contracting is founded on Christian principals. We strive to be an example of those values by including hard work, honesty, integrity, love, respect, giving our best, and serving others in all aspects of our life and business. 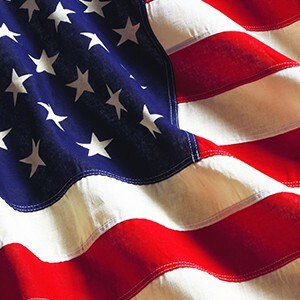 We are proud to be American! Thank you to all of our service men and women. We are Custom Home Builders with a focus on Bar Harbor, Ellsworth, and Blue Hill. As a home builder our in-house services cover a wide range of work from framing to finish including: Home Construction, Framing Contractors, Finish Contractors, Foundation Contractors, Siding Contractors, Roofing Contractors, Excavation Contractors and Residential Construction. Coastal Maine General Contracting, Inc. is also a Commercial Builder servicing Hancock, Penobscot, and Washington Counties. Our services include: Design Build Contractors, Contracting, Commercial Building, General Contracting, Metal Building Construction, Framing Contractors, Finish Contractors, Foundation Contractors, Siding Contractors, Roofing Contractors, Excavation Contractors. Key projects including residential, commercial, retail, medical, office, rental, apartment, food service, restaurant, storage, warehousing, parking, municipal, fire, police, aviation, airports, hangers, state and federal contracting. Key locations include Ellsworth, Machias, Bar Harbor, MDI, Bangor, Hancock, Blue Hill, Camden, Northeast Harbor, Millbridge, and Washington, Hancock, and Penobscot counties. The Coastal Maine General Contracting team did a great job on our new home. We had a challenging lot to work with, but Mr. Gurney and his crew came up with cost effective solutions that kept the project on track. We were especially impressed by how well the team communicated with us during construction—phone calls were always returned, and e-mails and other messages promptly responded to. A skilled team, great service, and first-class quality—we could not ask for more. We would highly recommend Coastal Maine General Contracting to anybody—Five Stars! The town office and public services moved into our new municipal public safety building in June. It is a beautiful building. The project was a HUGE success. Complete on time and on budget. I cannot say enough good things about Mr. Gurney and his crew. They were very sensitive to the specific budget that we had and their attention to details along with implementing the needs and desires of the town were exemplary. Thank you for the opportunity to boast about our project!! Mr. Gurney and his staff were a pleasure to work with and helped us work through all the details needed to design and build a new home that is both functional and beautiful. The house is solid and built to last with fine New England craftsmanship and attention to detail throughout. We love our new home—thanks! We contracted with Coastal Maine General Contracting to complete a new three-story dormitory and complete a major renovation on one of our dorms. They quickly built the new dormitory and completed all of the renovations. The project was very challenging and had an extremely tight time frame allotted. The work could not commence until school let out in June and had to be complete before September. Despite a couple of hidden site complications and a few requested layout changes, Mr. Gurney and his team persevered and were still able to complete the project in time for the students’ arrival. I would like to give Coastal Maine General Contracting a solid recommendation for future projects.